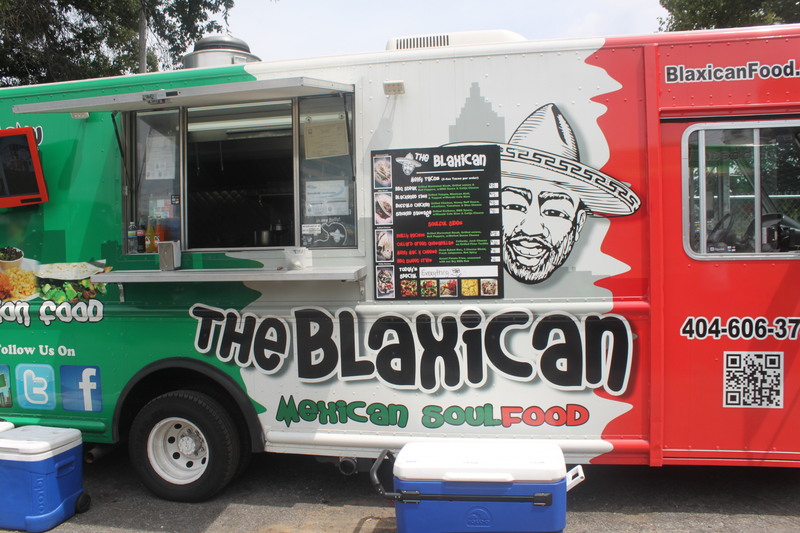 The Blaxican Food Truck was a popular stop for many. Whoever came up with the idea of selling fast and tasty gourmet food from a truck was a freakin genius and I love them for it. Gone are the days of shady hot dog vendors being the only option for a fast treat and it couldn’t have come soon enough for me as the smell of hot dog water makes me nauseous. 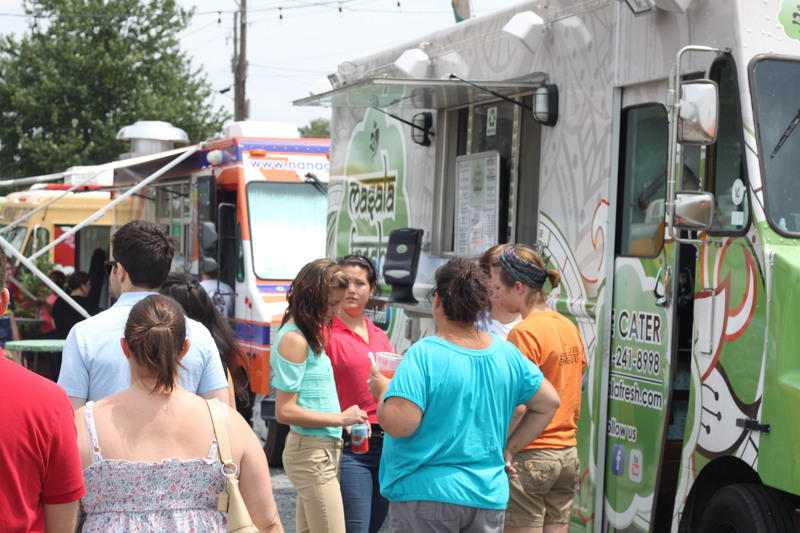 With the Food Truck Craze in full swing Atlanta has its very own fleet of Food Trucks and you can find most of them at the Atlanta Food Truck Park (1850 Howell Mill Rd.). It’s open 6 days a week and features over 25 trucks serving up the best that the culinary world has to offer. Tues. & Wed.: 11 a.m. – 3 p.m. Thurs., Fri. & Sat. : 11 a.m. – 9 p.m. Sun. : 12 a.m. – 7 p.m.
With plenty of parking, picnic tables and occasional live music this is the perfect place for a bite to eat. In fact, this location will soon be a one-stop-shop to show your support for local entrepreneurs of all types. This spring we’ll see the arrival of “The Market” where vendors will be able to sell fresh, gourmet and artisan specialties. So there you have it; a cool, hip place to shop, eat and hang out. A beautiful day for some food truckin. 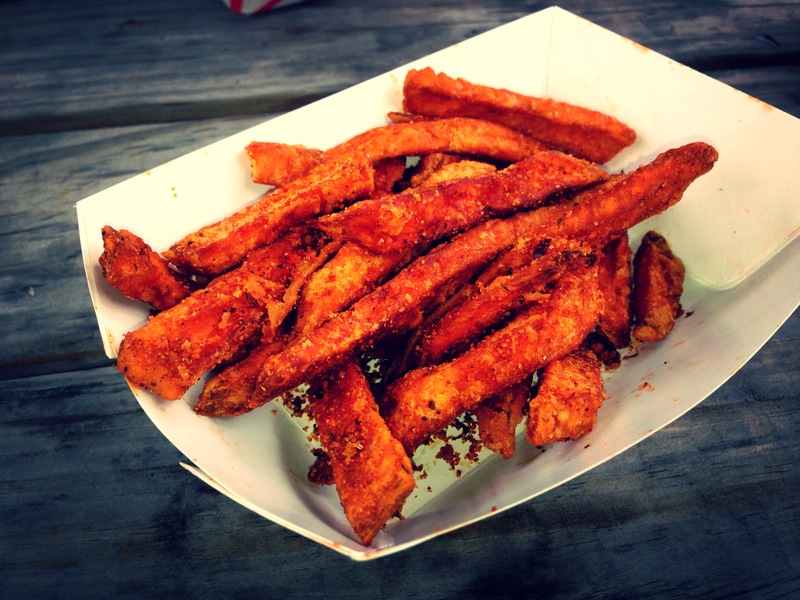 BBQ Sweet Potato Fries (The Blaxican). 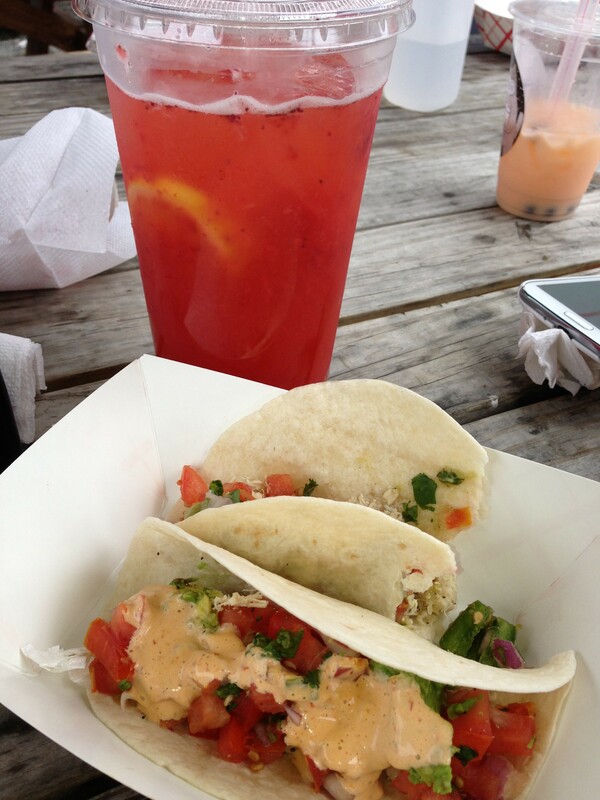 Strawberry Lemonade (Sweet Auburn BBQ) & Taco’s from The Taco Buggy. 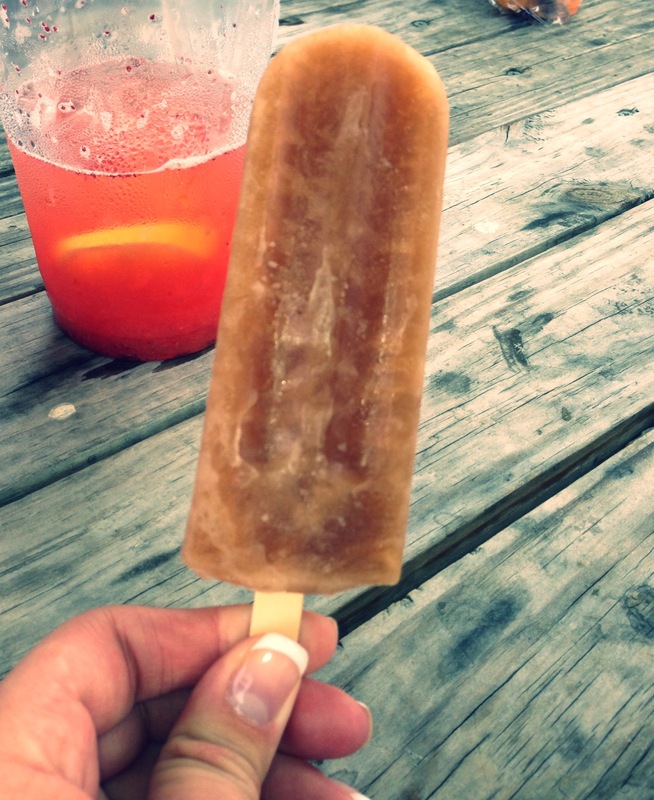 Arnold Palmer Pop (King of Pops). Prev SkyView: Atlanta’s Newest Attraction – Check It Out!